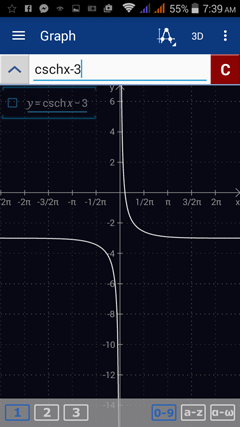 Enable hyperbolic functions by holding the e key. Set up Graph mode by going to Menu > Graph. Enter the equation as it appears in the problem. If the argument is longer than one term, enter it in parentheses. Make sure to set the desired scale (radians, fixed, degrees or auto). 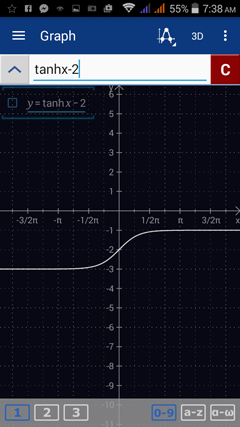 Sketch the graph of each function below. Type csch by tapping sinh three times. 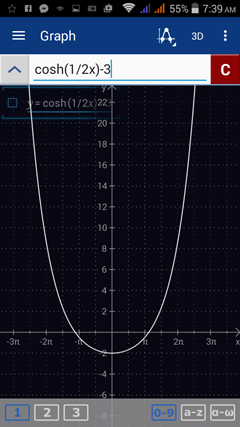 Type sech by tapping cosh three times. 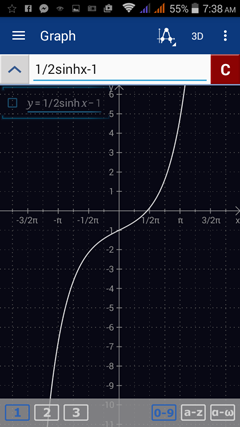 To sketch graphs on the same coordinate plane, type in one equation per line. Then hit the enter key.